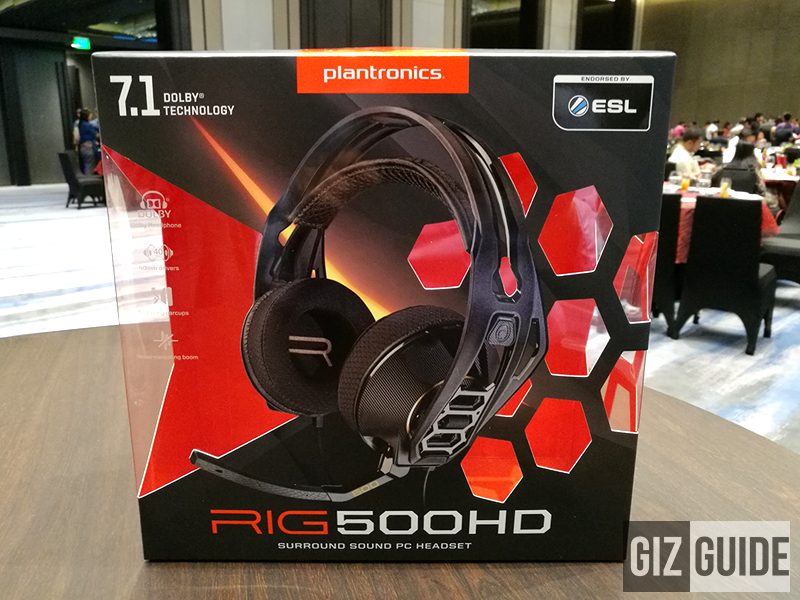 Plantronics, one of the well known and highly respected brands in the world of headsets and communications, just launched its latest offerings for the Philippine market. Those new audio devices are: 3 cool looking gaming headsets and 1 Bluetooth powered "HiFi" grade in ear monitors w/ mic. For the gaming line, they're called the Rig 500 series. It includes the RIG 500 Stereo PC Gaming headset, RIG 500HD, RIG 500E Surround Sound PC Headset E-Sports Edition, and Surround Sound PC headset. First is the RIG 500, its a lightweight full sized gaming headset that promises good audio performance that you can count on. It features a durable frame, self adjusting headbands, and memory foam for maximum comfort and isolation. This headset has a large 40 mm dynamic driver that delivers lows and bass boosted sound signature, has a noise cancelling boom mic, and analog 3.5 mm jack connection for PC, mobile, and consoles. It has a human hearable frequency response of 20 Hz to 20 KHz, sensitivity of 110 dB, and smartphone drive-able Impedance of 32 Ohms. 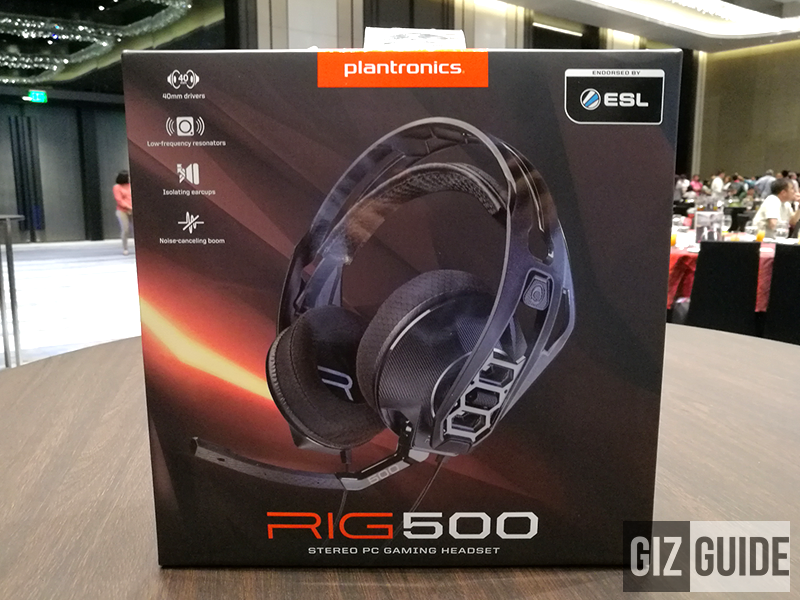 The RIG 500 will retail at just 2,995 Pesos which seems to be a good gaming headset deal. Next is the RIG 500HD, one of the few affordable gaming headset that's powered with Dolby's 7.1 surround sound. It also features durable and comfortable design (memory foam), noise cancelling boom mic flips up to mute, 40 mm drivers, and new breakaway cables with 24 bit USB audio and Dolby 7.1 support. It has the same frequency response of 20 Hz to 20 KHz, sensitivity of 110 dB, and smartphone drive-able Impedance of 32 Ohms. Given those features, its meant to give you that immersive and 3D like sound with an SRP of just 3,795 Pesos. The last among the gaming headset line is the RIG 500E, a tournament grade and stadium class GameCom Commander headset that's designed for the most competitive E-Sport gamer out there. It has a modular easy to snap on the headset components, self adjusting headbands, 40 mm drivers, 24 bit audio support, 7.1 Dolby surround sound on PC, removable noise cancelling boom mic, and easy swap cables for USB and 3.5 mm analog jack connectors. 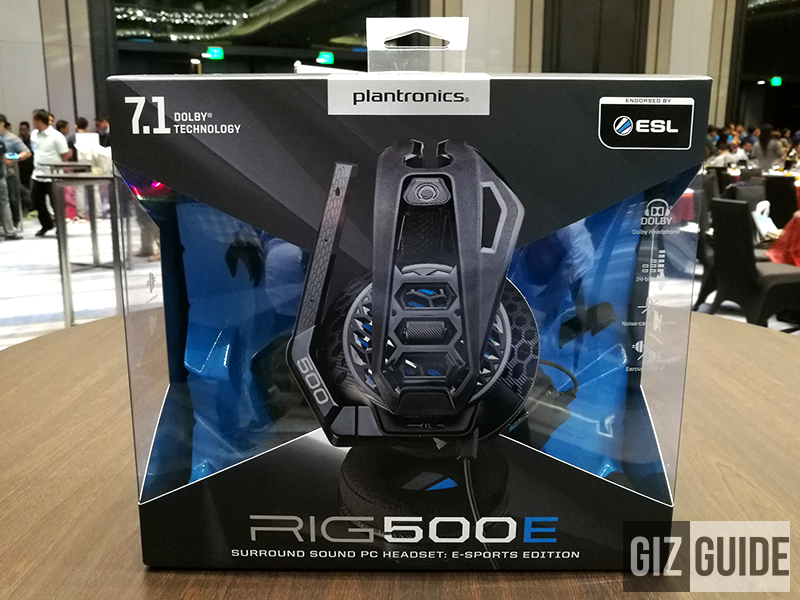 The RIG 500E is priced at 6,995 Pesos only. 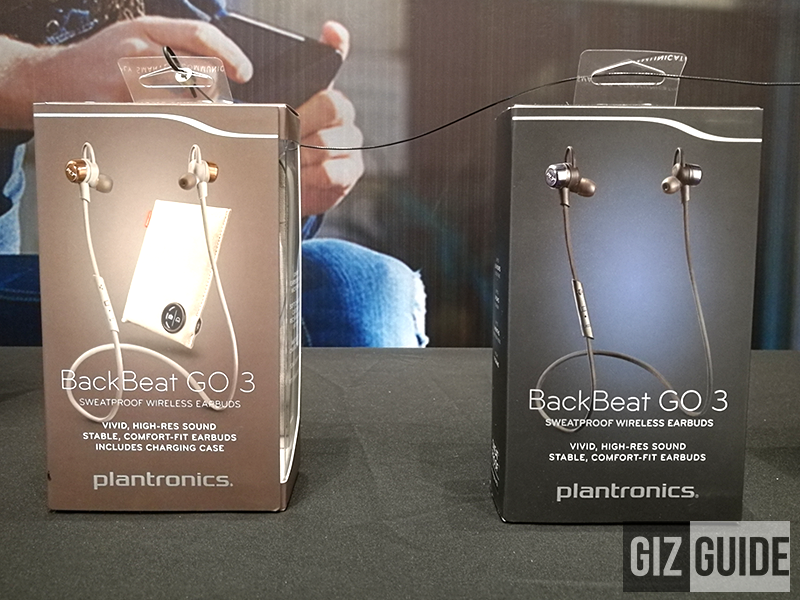 Last and the most interesting among all the devices they launched there for me is the BackBeat Go 3. It's a Bluetooth powered in ear monitors with microphone that's said to be audiophile (HiFi) grade. It features a stylish and seemingly comfortable, highly isolatiing, and sweat-proof design. It also boast custom drivers that's tuned to deliver vivid and high resolution music that's rare for a Bluetooth powered IEM, microphone with controls, great type of microphone with full controls, and up to 6.5 hours of playback time. On top of that battery life, the Backbeat Go 3 also has a clever portable charging case that adds up to 13 hours of power to recharge your in ear monitors. Note: For the price and availability of the Backbeat Go 3, we'll update this post once we have the details already. All those devices will be available in Plantronics stores and official retailers nationwide soon. For more details, visit the website of Plantronics now.